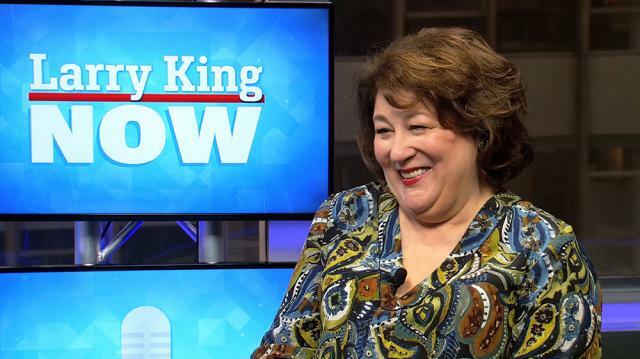 Emmy-winning actress Margo Martindale details her experience working alongside the great Meryl Streep in 'August: Osage County'. Larry King: @lanto_back2_TW on Twitter, “What was your experience like working on ‘August: Osage County,’ especially working with Meryl Streep? Margo Martindale: A dream. A very close relationship. We did a lot of things together because we were sisters, and it was a great bonding. Larry King: She homogenizes into her role. Margo Martindale: She’s the best we got. Margo Martindale: She’s great, that’s my fourth movie to do with her, and I would say acting with her in three movies. I love her. Larry King: Is she a giving actress? Margo Martindale: Very, she’s giving and she would do anything to help you, and yes, she’s fantastic. Larry King: Watch new episodes of ‘Larry King Now’Monday,Wednesday, and Friday on demand on Ora TV and Hulu.